David Haye versus Audley Harrison may have grabbed the headlines, but a series of bouts at the inaugural GB Amateur Championships in Liverpool could prove to be far more significant for the future of British boxing. With the 2012 London Olympics on the horizon, Britain's best amateur boxers went head-to-head at the Liverpool Echo Arena to stake their claim to pole position for the right to compete at the Games. In what could be described as amateur boxing's answer to the X-Factor, a victory for those outside of the GB Podium Squad would be rewarded with an automatic right to become a funded athlete for an assessment period. A huge incentive. The format added a real edge to the night's proceedings and in my ringside reporting position you got a real sense of the tension between the fighters. With so much at stake, no-one wanted to put a foot wrong in front of GB performance director Rob McCracken, British amateur boxing's answer to Simon Cowell. Super-heavyweight Anthony Joushua closed his eyes, turned his head up to the sky and took a deep breath as it was announced that he had beaten GB Podium Squad member Amin Isa. In our post-match interview, he was positively beaming as he knew just what his 6-3 victory meant. It was, as he put it, "a stepping stone to bigger things". The Finchley ABC man is widely touted as one to watch over the coming years - these championships may turn out to be his launch pad to greatness. England's Luke Campbell was another who turned in a hugely impressive display in front of McCracken. He outclassed European silver medallist and fellow GB Podium member Iain Weaver by a clear distance of 23-6. That performance really hots up the competition for the GB vest at the 56kg weight. 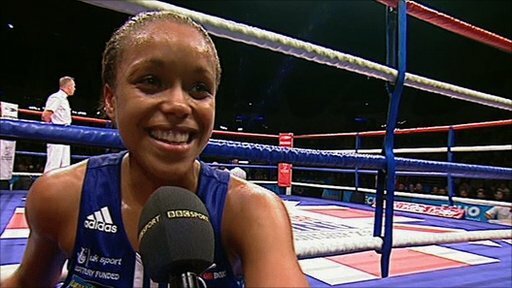 The fight of the night for me was in the women's 60kg clash between GB Podium boxers Amanda Coulson from Hartlepool and Liverpool's very own Natasha Jonas, who received the loudest cheer of the night as she entered the ring. Much had been said and written about the merits of women's boxing in the build-up to these Championships, as it was the first time the discipline had been shown live on TV. I had spent Wednesday filming with a range of women involved in boxing - from those just coming into the sport, to a professional who had fought all over the world - so I was particularly interested to see how the women's fights unfolded. I was not disappointed. In an enthralling bout, local favourite Jonas took the victory with the final blow of a contest. The fight had everything - good skill, great shots from both fighters and three action packed rounds at a terrific pace. The contest between GB Podium Squad member Nicola Adams and Lyndsey Holdaway from Wales was not as close - with the world silver medallist dominating - but was on a par with the majority of the male bouts. In our post-fight interview, I asked Adams if she felt her skills had impressed the fans in the arena. Before she got a chance to answer the question, a resounding "Yes!" was bellowed out from the crowd, accompanied by loud cheers. The audience were unequivocal in their response to what they had witnessed. With quality bout following quality bout, GB's Podium Squad offered a lot of reasons for getting excited about our medal prospects come 2012. The format of the inaugural championships was clearly a success, keeping GB's top talents on their toes while leaving the door open to the fighters pushing hard to press their claims. The only disappointing element of the championships was that the numbers in the arena were well below what the organisers had hoped. But given that many boxing fans will have been glued to the Haye v Harrison bout, it is hardly surprising the numbers were relatively low. 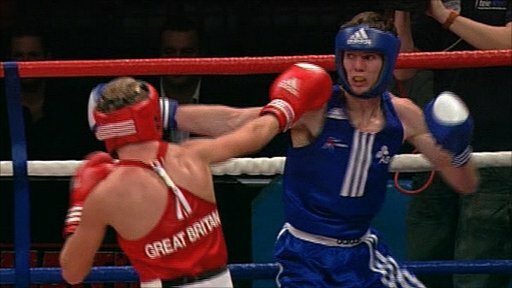 So as London 2012 gets closer, a night of boxing firsts saw Great Britain's men and women take a hugely significant step forward.